Access control manufacturer Inner Range is hitting the road – and airports – a lot this year by exhibiting at a string of security trade shows across the UK and abroad. General Manager Tim Northwood blogs about why there’s no substitute for face-to-face conversations and tangible tinkering with technology. We’re certainly putting the miles in this year when it comes to showing off our products at trade shows. 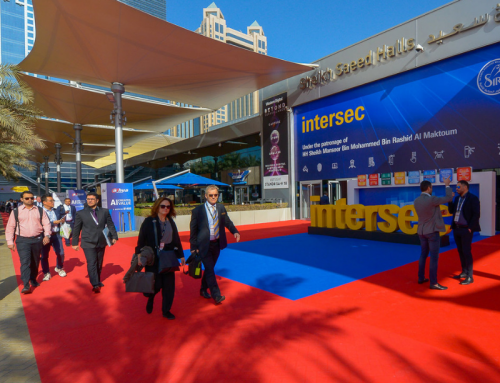 We’ve already exhibited at Intersec for the first time, where our systems were very well received in the Middle East. 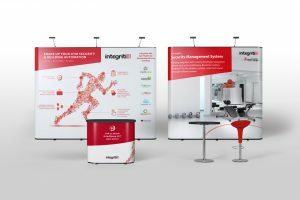 And a longstanding partner of ours, STA Plus, has showcased our intelligent access control system, Integriti, at Securika Moscow. STA Plus has been an approved Inner Range partner for more than 12 years providing sales and technical support for Inner Range in Russia so they are well-placed to talk about our products to the Russian Federation market. Back on home ground our team has already attended the Security TWENTY event in Birmingham and we have about ten more events to go before the year is out. We’ll be taking in many more Security TWENTY venues, The Security Event in Birmingham in April, IFSEC International in June, the new SiX event in Manchester in November and we finish up with the International Security Expo in London in December. Each event requires thought, planning and a ton of practical logistics that usually involve a last-minute dash to PC World for some part that’s not working quite as it should. What’s more, the internet is a great place to find reams of information about our access control systems from the comfort of your own office or home. But – if you’re coming to one of these events and you’re curious about Inner Range products and how we design and manufacture them, come and see us in person. There’s simply no substitute for meeting with existing and prospective clients face-to-face to find out exactly what their security needs and challenges are. We can talk through the variety of solutions Inner Range access control systems can offer, pausing to explain particular elements or answer questions immediately. We can cover the ground of a plethora of emails – often delayed by time-zones – in a matter of minutes. Our clients love our customer service and that starts with treating our clients as people first and foremost. We never judge a book by its cover, so whether you’re so youthful-looking we think you must be on work experience, or you’re clearly military top brass, we’ll give you our time and attention just the same. If you’re interested in us, we’re interested in you. Ultimately, while we hope you’ll find what you need on our website, we’re inviting all security event-goers to seek us out and let us introduce ourselves. We can talk you through anything and everything you want to know. We can also make you a coffee, something our website definitely can’t. Another benefit to events is that we can provide practical demonstrations of how our access control systems work and the sorts of tasks – and combinations of tasks – they can manage. Delegates can try them out for themselves too. We usually have a member of our technical support team on hand to deal with detailed questions. Integrated access control systems clearly require some budget and we understand people want to tinker with the technology first and see for themselves how things are configured and exactly what they can do. We’ll be sharing our whereabouts on Facebook, LinkedInand Twitter @Inner_Range_UK. Or you can find a full list of our event schedule here.